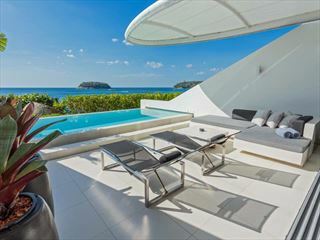 Thanks to a secluded beach location on the southern tip of Phuket Island, The Shore at Katathani presents plenty of pockets of peace and quiet from where to lay back and soak up the superb scenery of southern Thailand. 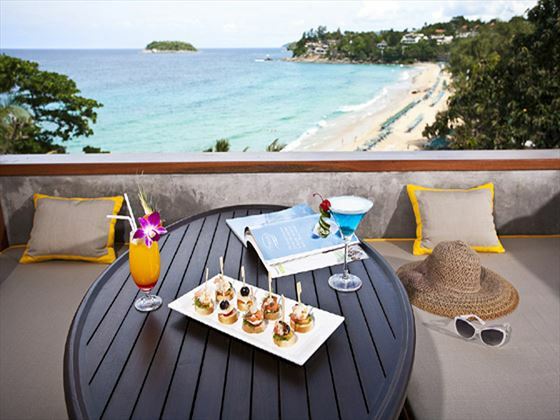 With an infinity edge swimming pool, tropical beach bar and international dining venue, all overlooking the ocean, the Shore represents everything that's good about Phuket with amazing customer service providing an excellent all round experience, not to be missed. 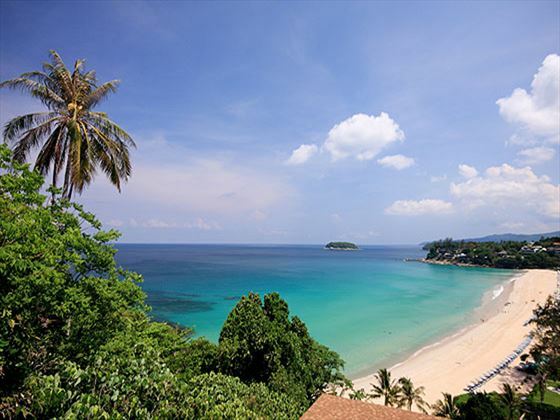 Couples will be in their absolute element as from spa pampering and keep fit classes to romantic strolls over crisp white sand at sunset, this is one beach retreat in Thailand that you'll want to add to the top of your honeymoon hit list. 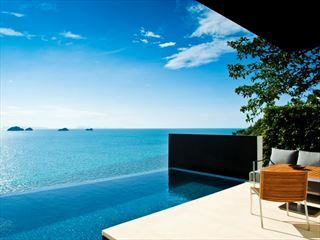 Further reading: The Shore at Katathani is featured in our guide to the top 10 luxury hotels in Thailand. 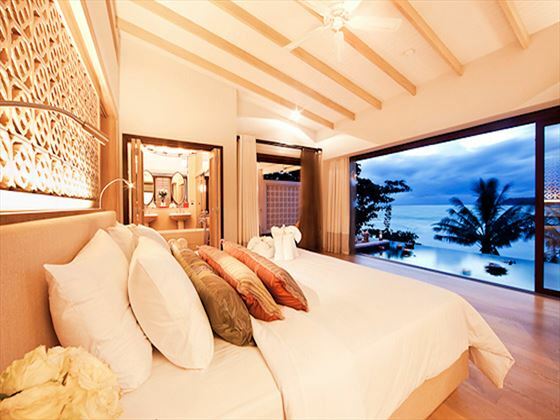 Situated on Kata Noi Beach in the south of Phuket Island, around 20 minutes' drive from Patpong Beach to the north and under an hour's drive from Phuket International Airport. 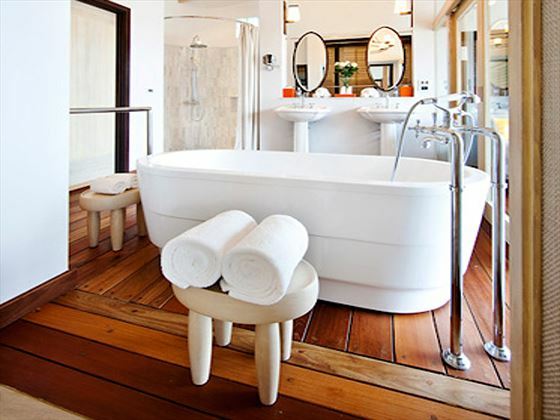 Pool Villas – spacious and stylish villa accommodation featuring double bedroom with dressing room, living room, bathroom with separate tub and rainshower, as well as a private infinity edge pool and sun deck with sea or hillside views. 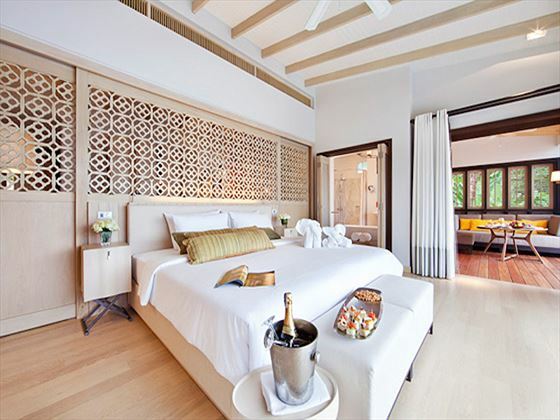 Two Bedroom Pool Villas – double the size of Pool Villas and split over two levels to accommodate two bedrooms, separate living areas, dining space and outdoor swimming pool with sun deck. 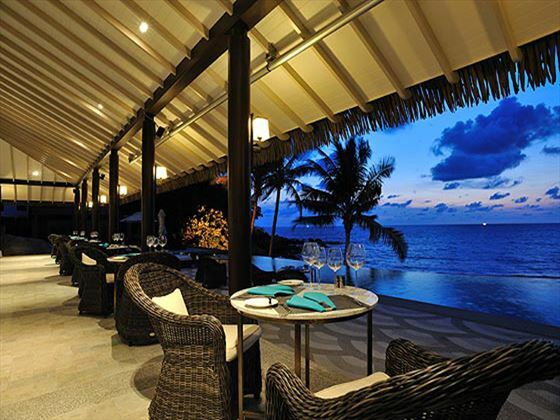 The Harbour – all day dining venue overlooking the ocean and serving a great choice of international and Thai dishes. The Lighthouse – cocktails, juices, beers and wines served on the beach against the sunset. 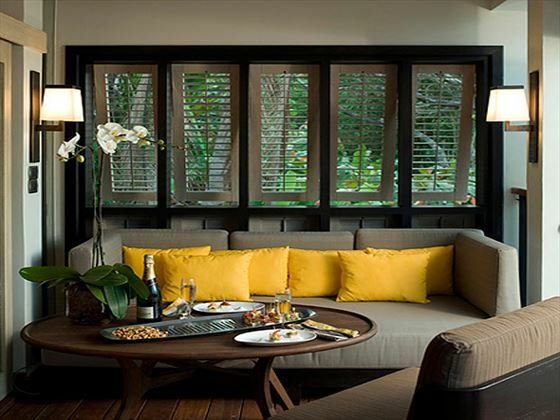 The Cove – wine cellar collection for tasting sessions, purchases and private parties. 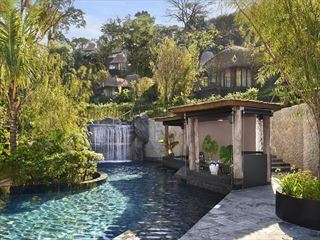 Serenity Spa – herbal steam remedies, outdoor plunge pools and a wide range of classic Thai and signature relaxation and all over body treatments. 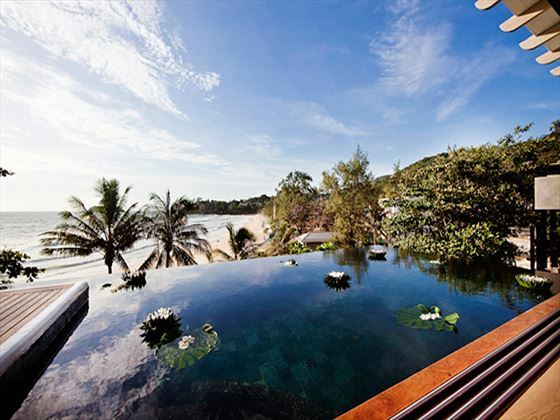 Infinity edge swimming pool overlooking the ocean. Fully equipped gym and work out space. Free use of nearby Katathani Beach Resort facilities, including: swimming pools, tennis courts, golf putting greens and health suites. Please note: this resort does not accept guests under the age of 12. This property will be closed for renovation during 1 June - 31 August 2018. The new facilities will be open and ready for guests from 1 Sept 18.